DALLAS, TX -- At 5, the girl identified as S.A. entered the Texas foster care system. Within months, she reported being raped by an older child. She was moved more than 45 times, including to psychiatric hospitals, and missed several chances for adoption because of paperwork delays. At 18, after aging out of the system, she walked into traffic and was hit by a car. At last report, she was living in a homeless shelter. 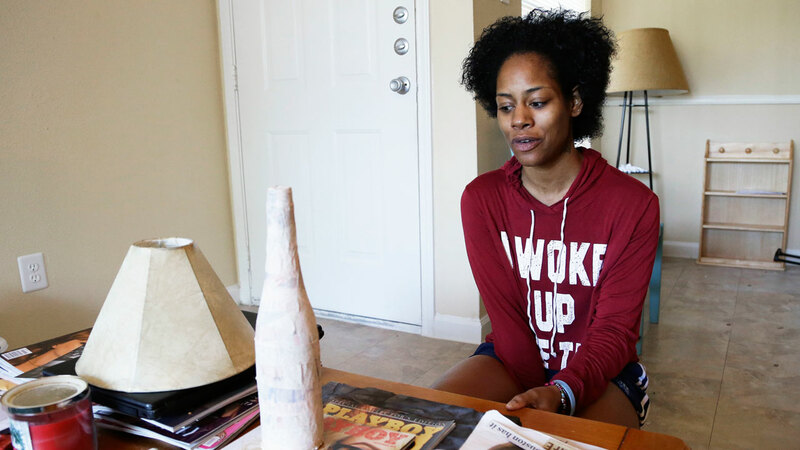 Her story, detailed in court records, was among scores of chronic foster care failures that led a federal judge to declare the Texas system unconstitutionally flawed and order an independent overhaul. Unlike most other states under similar orders, Texas is fighting the ruling - even as two court-appointed administrators face a September deadline to present a reform plan. The system, which has about 30,000 children in homes and institutional settings, is "broken, and it has been that way for decades," U.S. District Judge Janis Graham Jack said in her December ruling. That's especially true for those labeled permanent wards of the state, she said, who "almost uniformly leave state custody more damaged than when they entered." That label, covering about 12,000 children on whose behalf the suit was brought, can be affixed after a child spends just a year in custody and means they receive less care and oversight, Jack said. Another troubling aspect of Texas' system, the judge wrote, was allowing "foster group homes." Texas' stated allowance of up to 12 children in such homes, including the caregivers' own, was exceeded, Jack said, calling them "a hybrid" between traditional foster homes and institutional facilities that provided "fewer benefits ... and fewer safeguards." Jack said the sexual assault of and by foster children was a special problem in the foster group homes. She noted a boy identified as D.I. who was sexually abused from age 8, saying the system tried to cover it up and there was no indication he was ever placed in a single-child home. An expert testified that D.I. had become "a high risk for sexually harming children." Kristopher Sharp, who spent eight years in the Texas system and advocates for reform, is heartened by the judge's ruling. "We're constantly being told no, we're making stuff up or it's not that bad or whatever. And here it is, this federal judge is saying it's just as bad as people are saying it is - and in fact, it's even worse." The judge directed the two special masters to decide whether the foster group homes should exist. She also suggested setting up a 24-hour hotline to report abuse and neglect, figuring out manageable caseloads for workers and tracking child-on-child abuse. The two began working with state officials in April. Texas contends it was already reforming foster care and has challenged the appointment of the special masters. It's asked the 5th U.S. Circuit Court of Appeals to make the judge craft the reforms herself so that the state will have a final judgment to appeal rather than waiting - and paying - for the special masters to complete their work. "It's unfortunate and disappointing that millions of dollars that could have gone to serving youth in the Texas foster care system and hiring more caseworkers will now be spent on the legally baseless special master process," said John Wittman, spokesman for Gov. Greg Abbott, who declined an interview. Far more states settle such lawsuits. Leecia Welch of the National Center for Youth Law, which was not involved in the case, said there's currently comprehensive litigation or ongoing settlement agreements in more than 15 child welfare systems across the U.S. Experts say having up to 12 children in one home wasn't something they'd seen elsewhere and the trend among states was a move away from group settings. "It's this bizarre hybrid that seems to exist only in Texas and should exist nowhere," said Richard Wexler, executive director of the National Coalition for Child Protection Reform. A 2013 report from Generations United and the American Bar Association Center on Children and the Law found that state allowances for foster homes vary from four to eight children, including host family kids. Texas' traditional foster homes allow up to six children, including the host family's children. In addition, being designated a permanent ward of the state is "like being moved to the backburner," said attorney Sara Bartosz of Children's Rights, which filed the lawsuit. A healthy system will get a child reunited with family members or in a long-term placement with relatives "fairly quickly," or get them adopted within two years, said Sandra Gasca-Gonzalez, director of the Jim Casey Youth Opportunities Initiative. Texas "ignored 20 years of reports, outlining problems and recommending solutions," Jack wrote. "Although some foster children are able to overcome these obstacles, they should not have to."